Ubuntu is an easy to use Linux distribution that is relatively popular. With this in mind let’s look at how to set up a basic installation of this Operating System. This post does assume that you know how to create a new virtual machine and start the install process with an ISO file. 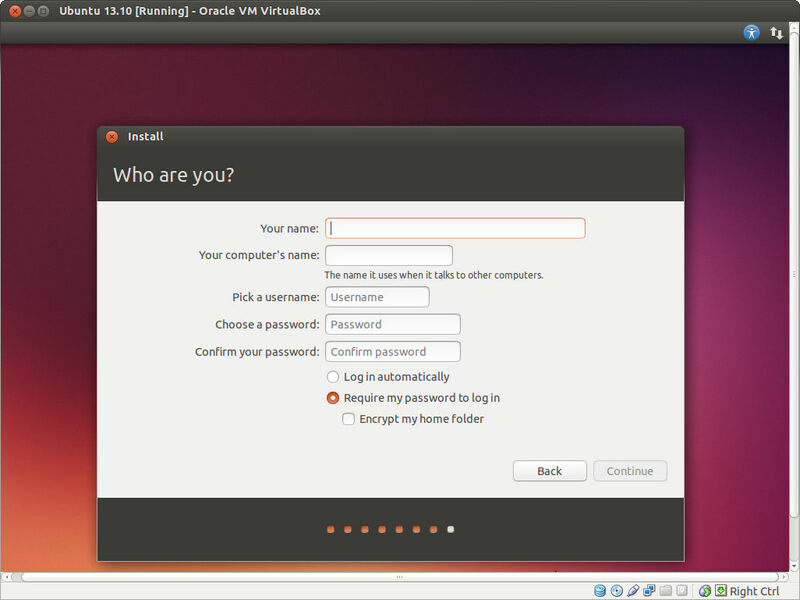 Once you have started your virtual machine you will be greeted with the Ubuntu logo. 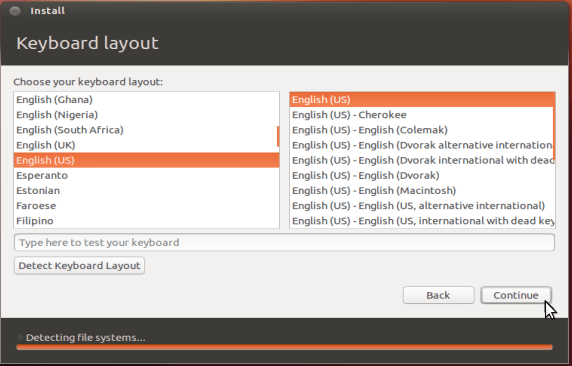 From there you will want to select the “Install Ubuntu” button, which will make the installation wizard appear afterwards. The first step will be to select your language. After you’ve selected it, click on continue. 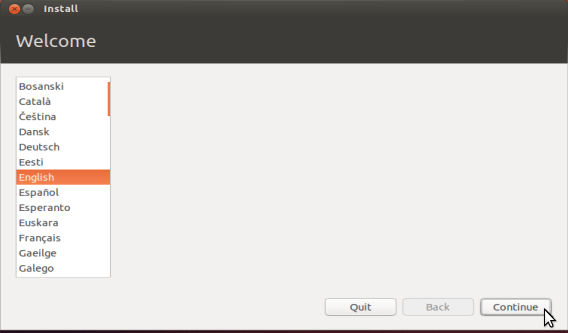 The next page you will see is “Preparing to install Ubuntu”. On this page you will want to select your desired options (the defaults are fine), then click on Continue. The next thing you will see is the “Installation type” page. 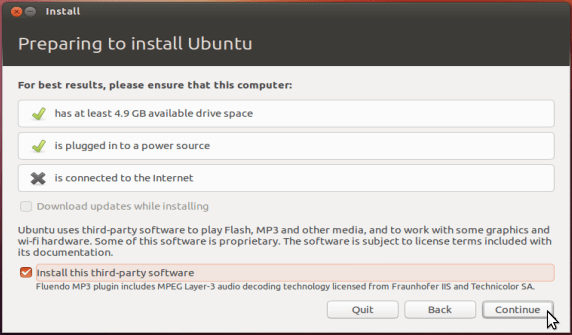 For the purposes of this tutorial the only thing that will be installed on this specific hard-drive is Ubuntu. 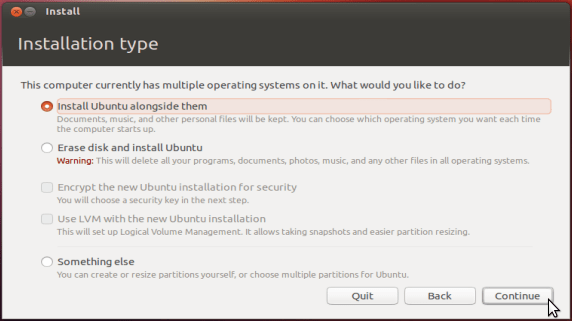 Since this is the case chose “Erase disk and install Ubuntu”. During the installation process you will be asked your time-zone, you will need to click the location that is closest to you. Following that screen, you will need to selection your keyboard layout. The final step is to provide information for the “Who are you?” page. This includes your name, username, password, and computer name. Once you have provided all of this user information the installation process will finish (this may take a little time). Once all of the files are done, your system will restart and you’re ready to go! Create the directory if it does not already exist. Type cd followed by the name of the directory you wish to access.